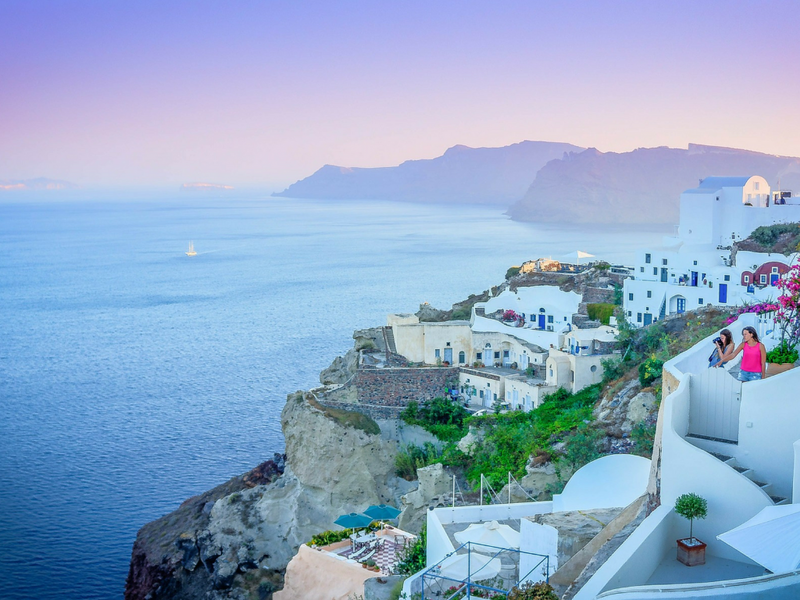 Return flights from Dublin to Santorini and home from Mykonos. Private return airport transfers and boat trip from Santorini to Mykonos. Five nights’ accommodation at one our unique partner properties in Santorini. Choose from Istoria, Chromata, Sun Rocks Boutique and more. Five nights’ accommodation at one of our partner properties on Mykonos – chic Katikies Mykonos or Kirini My Mykonos Retreat. Allow us to arrange dining, sailing trips and other honeymoon treats. 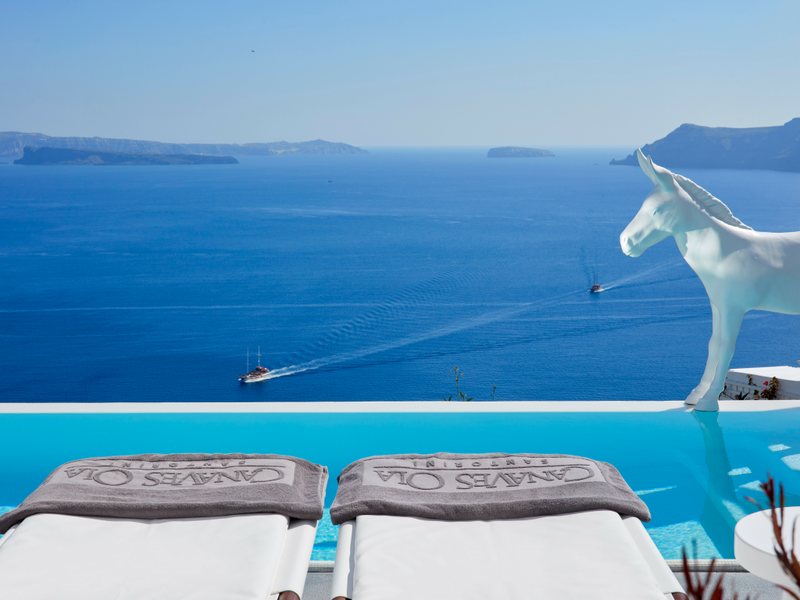 The Canaves Oia Suites are Greek luxury at its peak. Dominating cliffs and Aegean sunsets combine to make Santorini a true paradise. 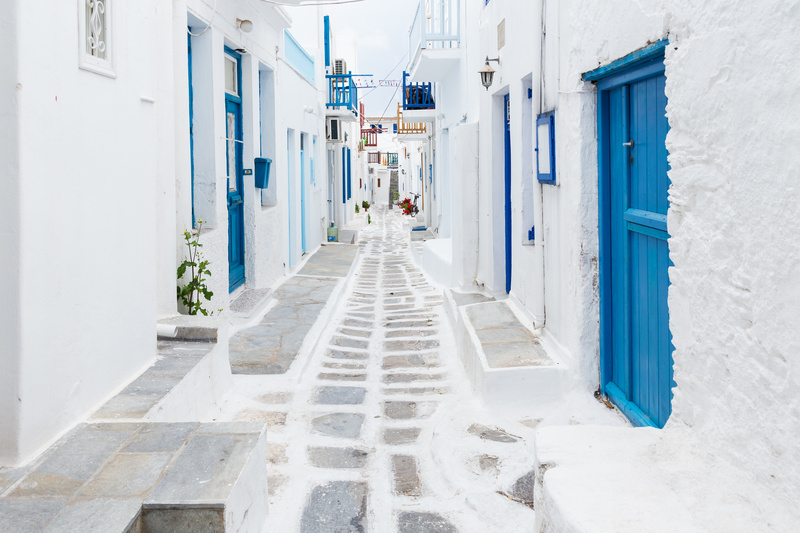 Wander through the narrow streets and wonderfully preserved whitewashed houses of Mykonos. Check in to the honeymoon suite of the Canaves Oia Resort. The islands of Greece are as enthralling as they are ancient. 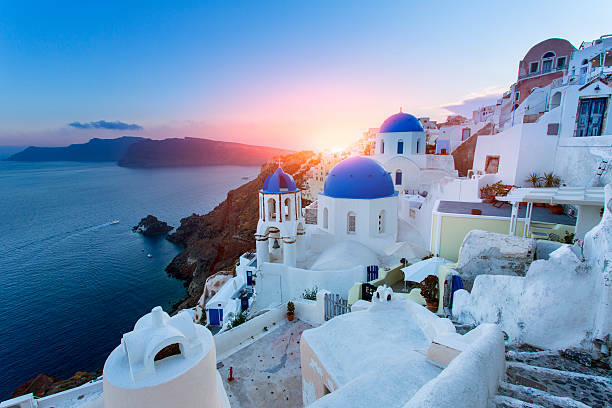 Endless coastline, ruinous marble temples and vibrant Greek culture come together perfectly. The ideal romantic getaway for any couple seeking beauty and seclusion. Blue-skies, impressive cliffs and warm ocean waves ensure a trip you’ll never forget. 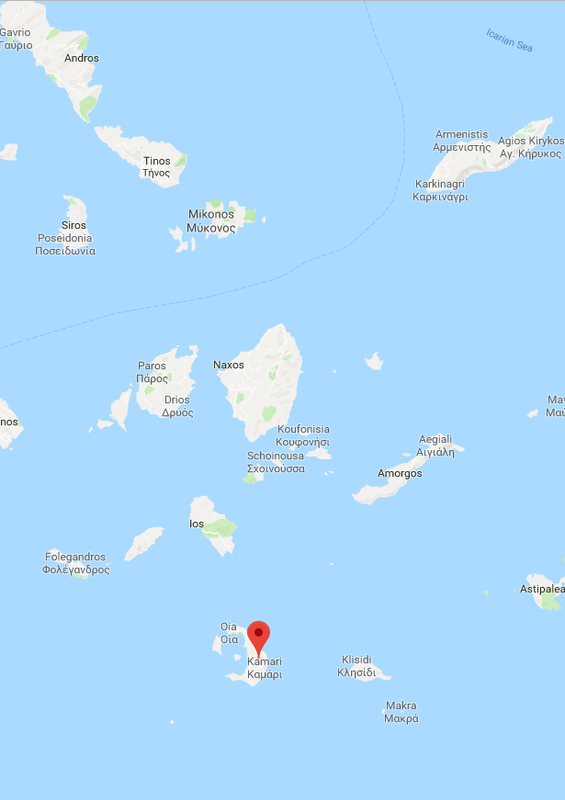 Fly from Dublin Airport and fly to Santorini Airport with a connection in Athens International Airport. You will be collected from the airport and privately transferred to one of our partner hotels. 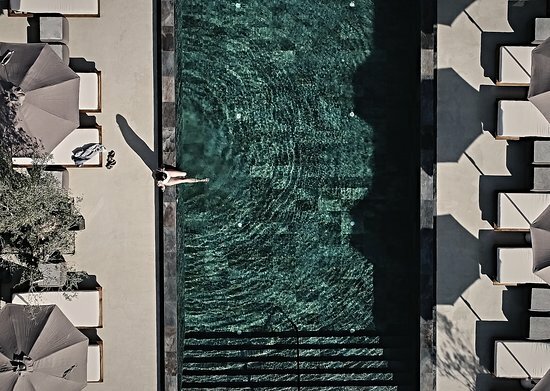 We have a wide range of partner hotels in Santorini to suit everyone’s needs, from the mysterious Istoria Hotel located on the volcanic sandy beach, to the Chromata Hotel that sits on the cliff top overlooking Santorini’s volcanic caldera. Allow us to book a private catamaran excursion from the port of Vlychada. 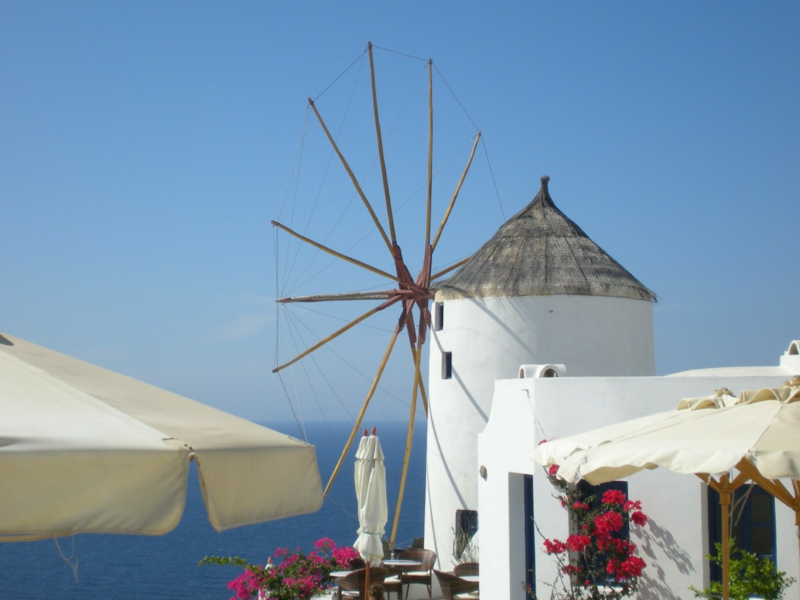 Sail around the island visiting Red Beach, White Beach, Hot Springs and the picturesque village of Oia. The crew will prepare your onboard barbeque as you relax and swim along the way. Why not explore the Santorini wine road with a private guide. We can book a stimulating tasting experience for you under the guidance of our wine experts. 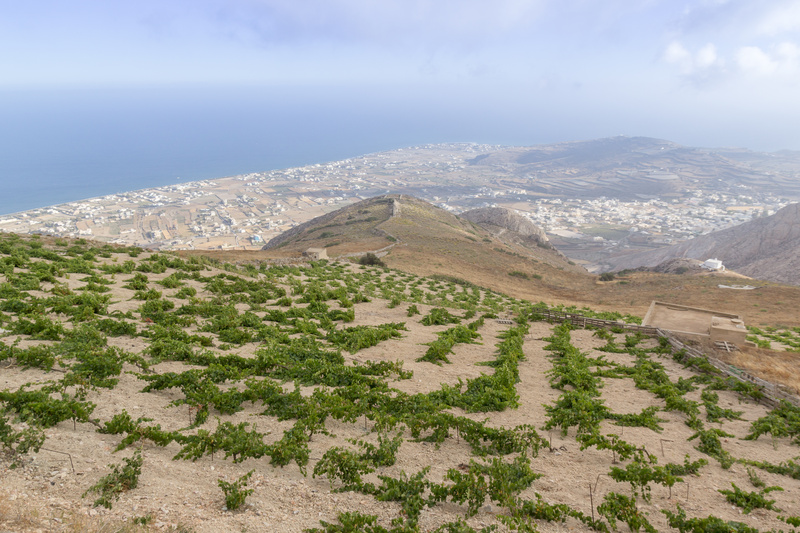 You’ll visit three beautiful wineries whilst learning all about local grape varieties and the viticulture of Santorini. Your journey continues with a ferry ride from Santorini to the island of Mykonos. 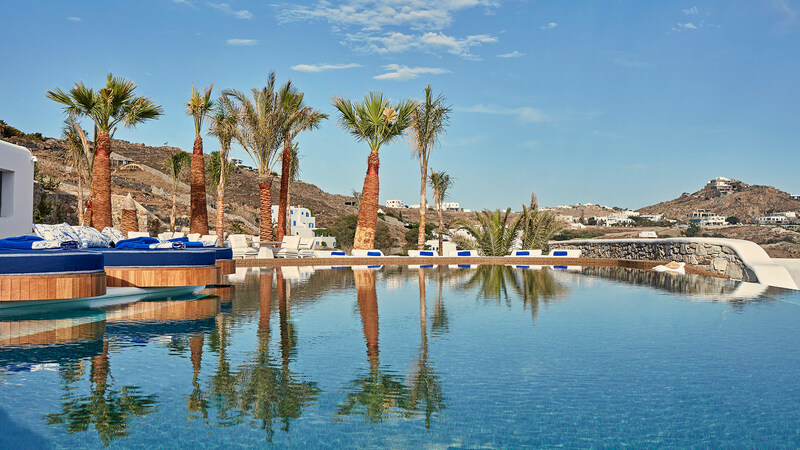 You’ll check in to of our partner hotels in Mykonos, from the chic Katikies Mykonos luxury resort to the Kirini My Mykonos Retreat which has one of the best spas on the island. Allow us to arrange a guided tour Mykonos. Visit the idyllic beach of Agios Ioannis at Mykonos harbour, which boasts the best view of Delos Island. Venturing inland, visit the traditional village of Ano Mera, where you’ll visit Panagia Tourliani monastery. Depart from Mykonos airport and transfer in Athens or Sofia Airport. Katikies Mykonos is a luxury resort offering 35 beautiful suites spread across Agios Ioannis Peninsula. A member of Leading Hotels of the World, the resort boasts fantastic amenities and sea views. You also have access to one of the island’s best beaches. 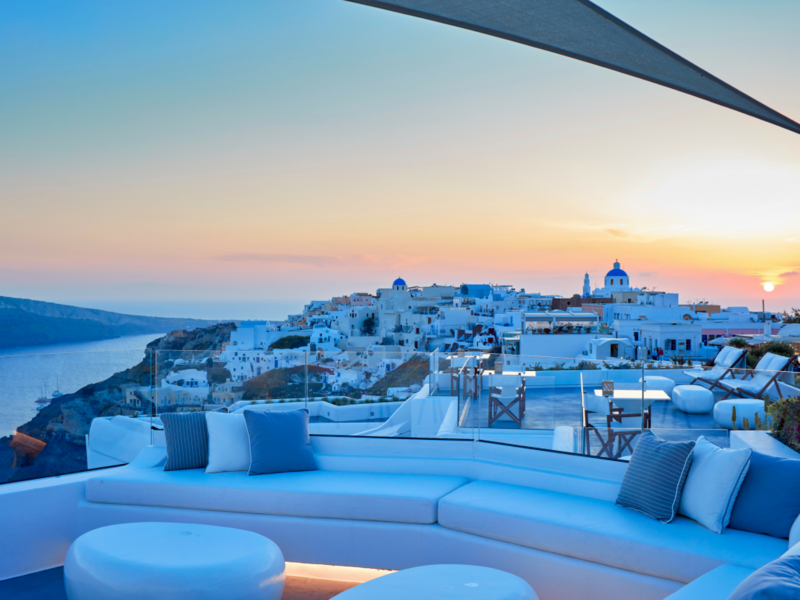 Relax among stunning Cycladic buildings, each fully whitewashed and filled with natural light.